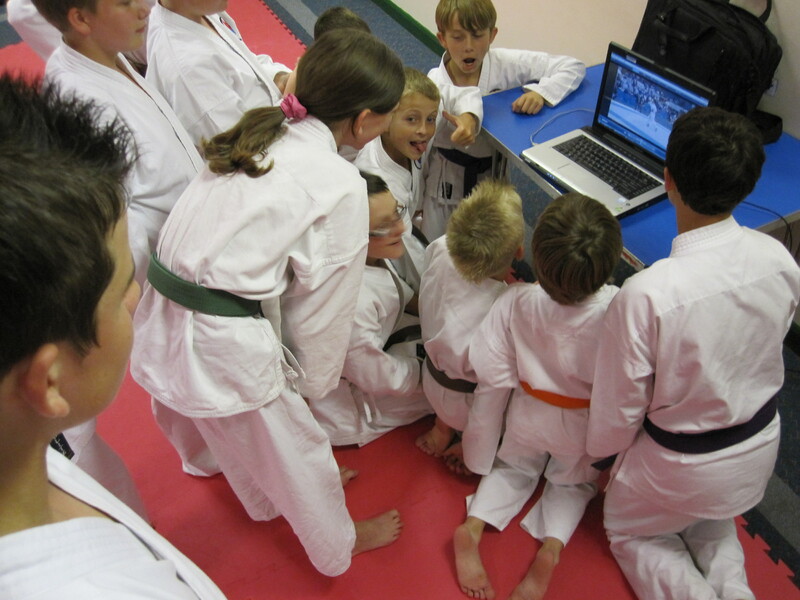 If you ignore the fact that Danny boy has his eyes on the camera with his customary pose, the photo shows our students watching the Senior Women Individual Kata Semi Final matches from the Wado World Cup 2010. The challenge was to see if the students could pick the winner of each Semi Final, in the first match (Louise Fisk vs Nao Sekikawa), they couldn’t – I personally think this was a close match and If you asked both competitors, I’m sure they’d agree that the Kata were’nt the best they’re capable of. Most of our students picked Louise as the winner when in fact Nao Sekikawa took the win. The second match, the students did better with most correctly picking Emiri Iwamoto over Jessica Buschor. We then asked our students for feedback about why they chose who they did and what they liked/disliked from the performances. We then tried to explain why the competitors won/lost and more importantly what our students can learn from the videos. The main learning point is to slow the overall Kata down, our students tend to ‘blitz’ through the whole thing, trying to set a new land-speed record. The second point is not to ‘lift’ out of the stances and this comes from their basic/kihon. We put these learning points into practise and it was great to see such a significant improvement in performance with just a few minutes practise. This entry was posted on August 28, 2010 by hartlepoolwadokai. It was filed under Uncategorized and was tagged with Hartlepool Wadokai, Kata, Wado World Cup.